Having a nice Ring to it! 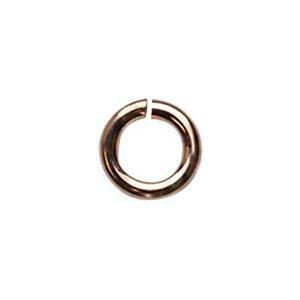 Our 14/20 Rose Gold-Filled 6mm Outer Diameter 18 Gauge Open Jump Ring. 4# Hard made here in the USA. Freedom. The Liberty Bell. GRJ106. All of them have a great Ring about them! One of the essentials in Jewelry Findings for attaching components and Rose Gold-Filled Clasps and Closures.